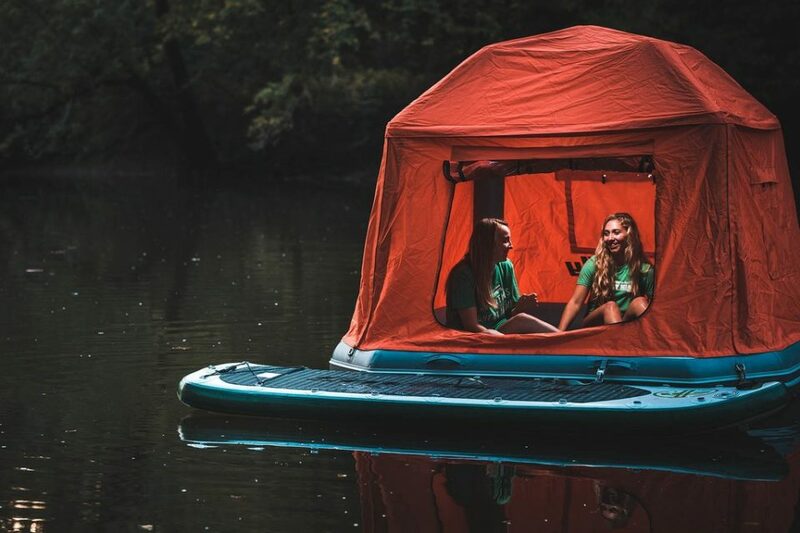 Camping season may be just about over for the casual fair-weather enthusiast, but in any case, here’s a fun piece of gear to add to your Christmas wishlist. 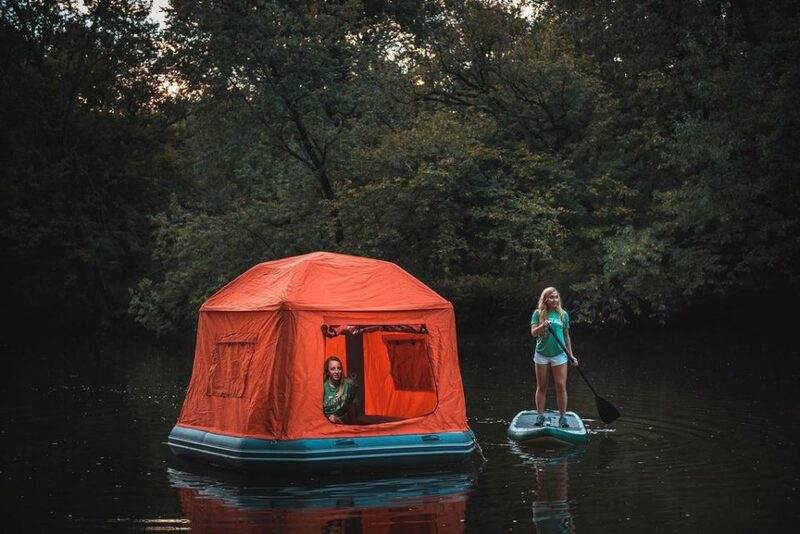 Have you ever gone paddle boarding or kayaking, and wished you could just sleep out on the water? Or maybe you’ve fantasized about living in a houseboat, but owning one is a bit impractical. 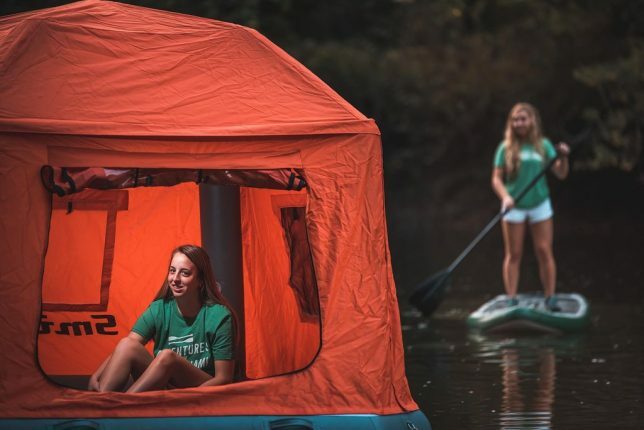 The ‘Shoal Tent’ by SmithFly is like a cheaper, more casual version of heavy-duty floating fishing tents, and it’s way easier to set up. The tent features an 8’x8’ footprint and can sleep people up to 6’3” tall, with the same standing room height in the center. It packs down to a burrito-roll-style bag and comes with a patch kit and manual foot pump. At 50 pounds, it’s not exactly lightweight, but depending on your plans, it’s probably worth it. It’s currently on pre-order sale at a discount for $1274.15, with an MSRP of $1499.